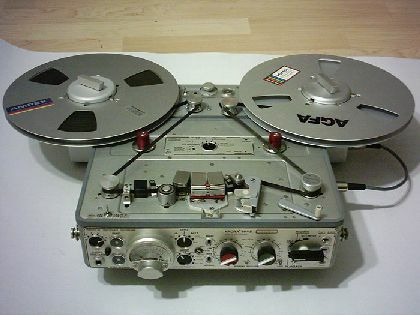 The studios could use the NAGRA IV-S tape recorder from 1980. From this year, this machine is the most erudite professional recorder for the radio- and the movies studios too. For this machine (and a little bit for the NAGRA-SN) Stephan Kudelski has got the "Technical-Oscar" award. It can be use for studio-record in our days too, because it has a "master" grade, and in this tape speed (38,1 cm/s) the dynamics is 75 dB!